Workspace Macro - Ease your workload. Delegate repetitive tasks to Workspace Macro Recorder. Keyboard macro, mouse macro. SMART Macro Technology ensures high reliability. Simple, intuitive, user-friendly. Just record & replay. Macro recorder, Macro program. 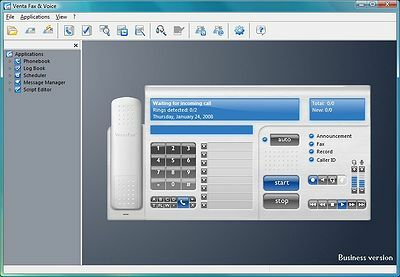 AutoMe - AutoMe is a reliable and user-friendly windows automation software and macro recorder with task scheduler, color checker. AutoMe is very easy to use, you can record robot, and run it as many time as needed. No programing needed. Virtual Programmable Keyboard - Virtual Programmable Keyboard is a simple software application to easily record keystrokes as a Windows macro, emulating a programmable keyboard. Now you can make common and repetitive tasks simple and easy. Just record them to a single keystroke. Easy Macro Recorder - Easy Macro Recorder is a handy utility that makes your computers automatically do work for you. It records all operation of mouse and keystrokes and saves them as macros, then Easy Macro Recorder can play back recorded macros to automate your work. AllKeys Macro - AllKeys Macro is for users looking for a flexible but robust macro solution that allows you to record and easily edit a large number of macros. Also includes a program launcher, break timer, and mouse replacement tool. Mouse and Key Recorder - The Mouse and Key Recorder allows to record any keyboard strokes and mouse clicks and to store them as macros. The macros can easily be edited. Additional more than 135 commands allow to customize the macros to your needs.